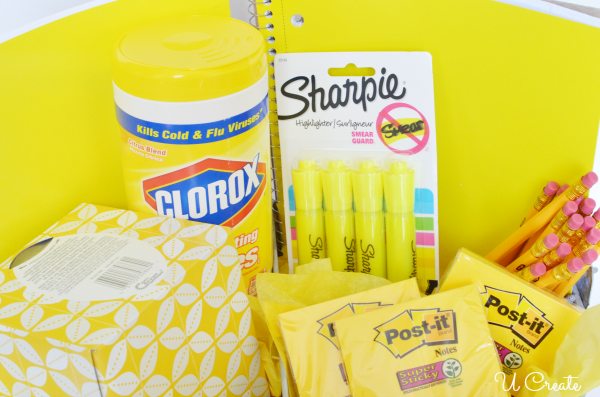 Classroom full of SUNSHINE – teacher gift! I was asked to be a Quaker Classroom Ambassador and as part of this amazing campaign I was asked to create a fun idea for the classroom and share a way to appreciate our outstanding teachers! I’ve been seeing a lot of “sunshine in a box” ideas and then it hit me to do one “teacher-style”. 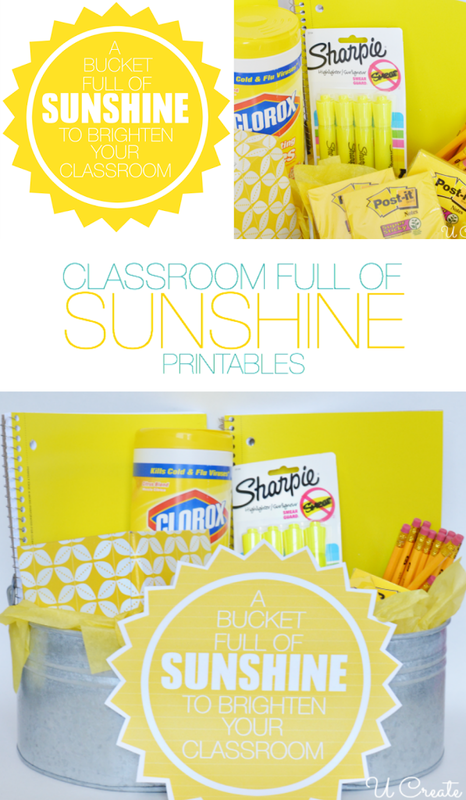 There are so many YELLOW school supplies and I knew I wanted to create a bucket full of sunshine for the classroom! I headed to my local store and easily found post-it notes, sharpie highlighters, pencils, disinfecting wipes, notebooks, etc.! 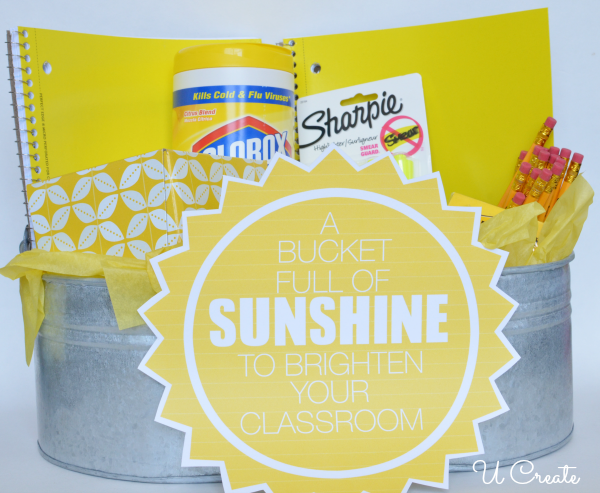 I put the school supplies into this cute metal bucket, attached the FREE PRINTABLE SUNSHINE TAG and instantly had a gift the teacher was sure to love!! Did you know that teachers spend more than $1 billion a year stocking their own classrooms, and they’re buying more than just school supplies? This blew my mind. Quaker is joining forces with AdoptaClassroom.org to provide additional funds to our fabulous teachers. VisitQuakerUpforClassrooms.com to find out how you can trigger a $1 donation to AdoptaClassroom.org! It’s simple really… from now until September 30, 2014, enter your zip code and package code to donate to a teacher in your very own community! They will donate up to $250,000 to help fuel classrooms across the country. Learn more at QuakerUpforClassrooms.com. To see more great back-to-school content from myself and other Quaker Classroom Ambassadors and join the conversation with your own teacher appreciation stories by following #QuakerUp hashtag. Also, stay tuned during this back to school season for teacher gift ideas and a fun giveaway! Compensation for this post was provided by Quaker. The opinions expressed herein are those of the author and are not indicative of the opinions or positions of Quaker. Kar, I absolutely LOVE this!